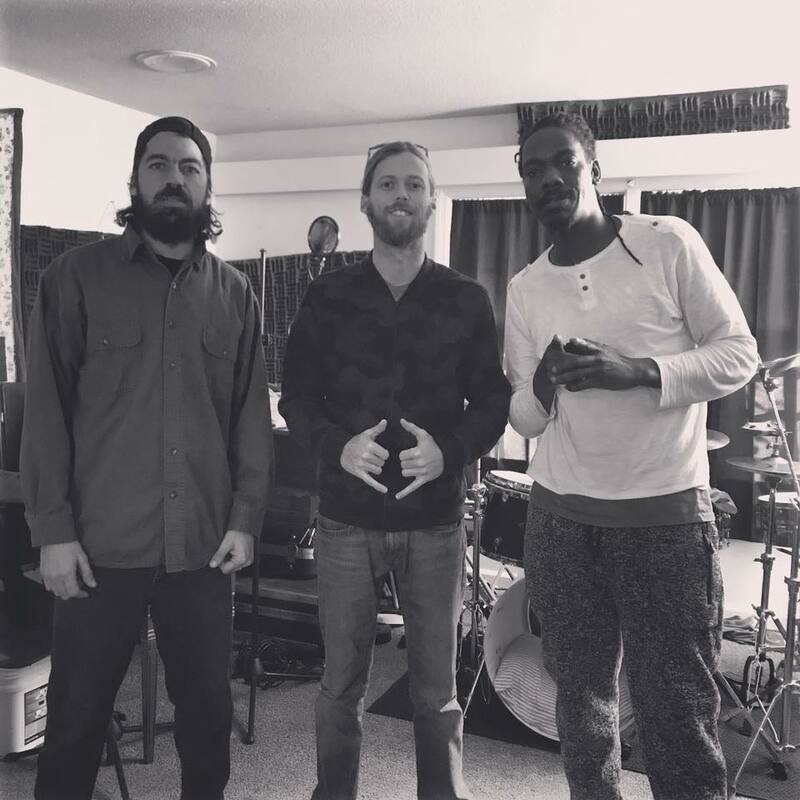 Back in October, Rootfire premiered the track “Lift Up,” from Wilmington, NC’s Signal Fire. Last month, we featured a Throwback Thursday article about the Jamaican roots reggae vanguards, Culture. What do these two bands have in common? For one, Signal Fire keyboardist, Carl Blackmon, has toured with Culture and is a friend of Kenyatta Hill, the son of the late Joseph Hill, founder and lead singer of the band. 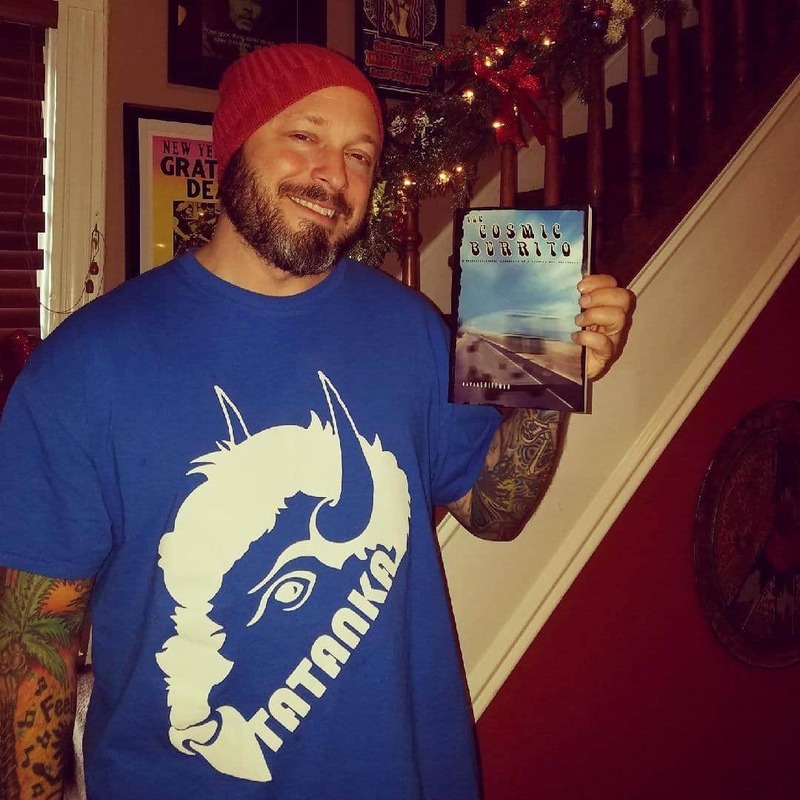 Additionally, Signal Fire’s primary songwriter and singer, Sean Gregory, has been a fan of Culture for years. As such, he loosely modeled the band’s latest single, “Conquering Lion,” after a crucial Culture track, “See Them A Come.” Today, Rootfire brings you a first listen of this latest single, featuring Kenyatta Hill. Considering Kenyatta’s prowess for mixing Culture’s recent music, the North Carolina quartet thought it might be cool to invite him down to their studio to work with them on the track. In addition to assistance with mixing, Kenyatta ended up contributing vocals to the tune, delivering a performance tremendously reminiscent of his father. For we know that love is the greatest power, and we know that love can conquer all. Synth flute and Hill’s vocal punctuations provide further accents that altogether result in a sound that deftly resembles the music of Culture. “Conquering Lion,” is, of course, named for the Lion of Judah. The most prevalent symbol in Rastafarian culture, it represents Haile Seslassie, whom the Rastas worship as the messiah. In a more historical Christian context, the Lion of Judah also represents Jesus. Given the biblical imagery of Jesus and his equivalency to love, the title “Conquering Lion” is aptly suited for a song with a refrain focussed on this greatest universal power. Despite the constant spew of falsities, negativity and veiled bigotry that fan the flames of divisiveness amongst the populace, taking a cue from the Biblically rooted, politically conscious music of Culture, Signal Fire, along with Kenyatta Hill, rebel against the darkness by rising to the light of unity and positivity, creating a jubilant song capable of getting even the most rigid of sorts shaking their hips and feeling good. 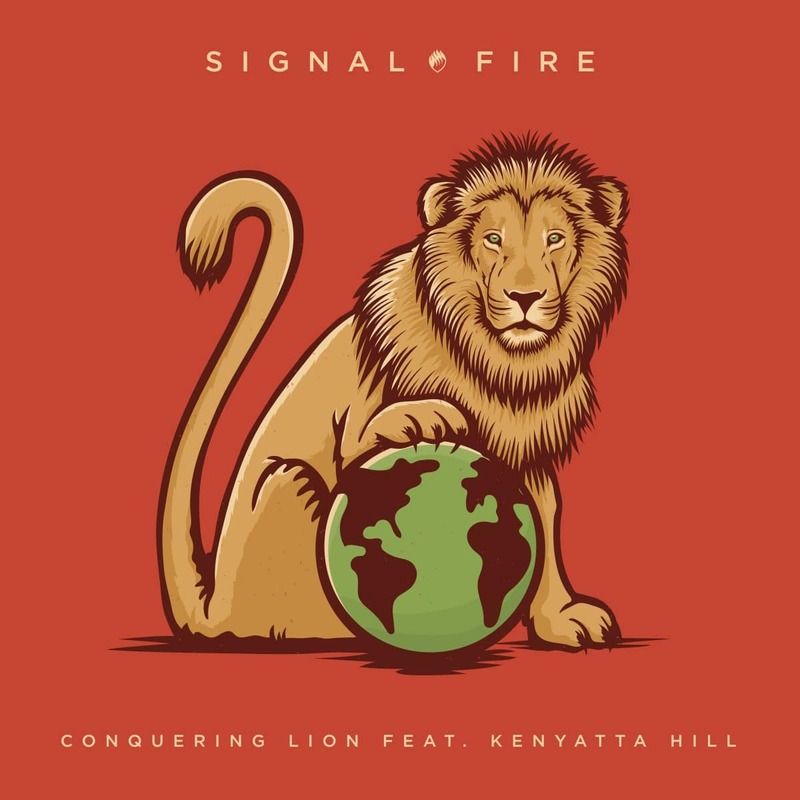 Signal Fire’s latest single “Conquering Lion” feat. Kenyatta Hill is available everywhere April 20 on Lift Up Records. Love hearing about Signal Fire and stories that go beyond the music? Sign up for updates below and be the first to know! Dave is the author of "The Cosmic Burrito", a tale of two friends who drive across the USA in search of the ultimate burrito. In the past, he has written for various music publications and interviewed a range of artists including Sublime, Everclear, Burning Spear, Big Mountain, Bad Brains, Neal Casal and Lucky Dube. Dave has a deep passion for reggae music, Rasta consciousness and island culture. In reggae circles, he goes by the name "Rootsdude," and he has dubbed his extensive music collection “Rootsdude Sound System.” David plays ice hockey weekly for two recreational teams he founded and manages, Team Rasta and The Wailers.